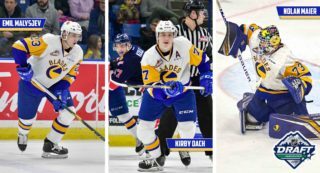 Saskatoon, SK – The Saskatoon Blades have cut their pre-season roster down to 35 players following 2018 training camp which featured 72 players. The remaining roster now consists of 19 forwards, 12 defensemen, and 4 goaltenders. Of the 35 players still with the club, only two remain unsigned. 16-year-old d-man Alex Ozar, who was a 2017 5th round pick of the Blades, and fellow 2002 born, Cam Beson, remains as the fourth goalie with the Blades this week. 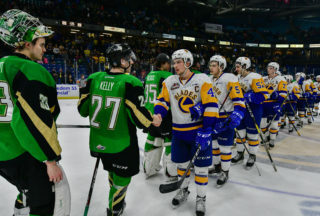 Pre-season begins on Thursday when the Blades travel to Prince Albert to take on the Raiders. 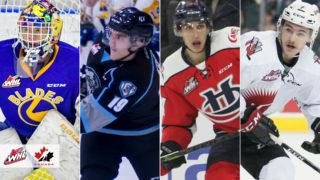 Thursday night’s match is a rookies game which will see each team ice their youngest lineup. 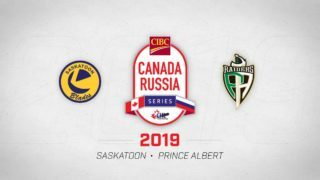 Tickets are on sale now at the Blades office for the pre-season game on September 8th at the Legends Centre in Warman, SK. Tickets are $10 each and are available at the Legends Centre or at the Blades office. Proceeds from ticket sales will go towards Warman Minor Hockey. 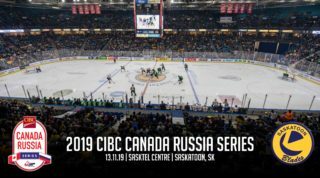 The Blades will play one pre-season game at SaskTel Centre on Thursday, September 13th, at 7:00pm. Tickets will be $5 each and will go on sale on September 10th along with all single game tickets. Season ticket members will receive free admission to both pre-season games in Warman and Saskatoon.